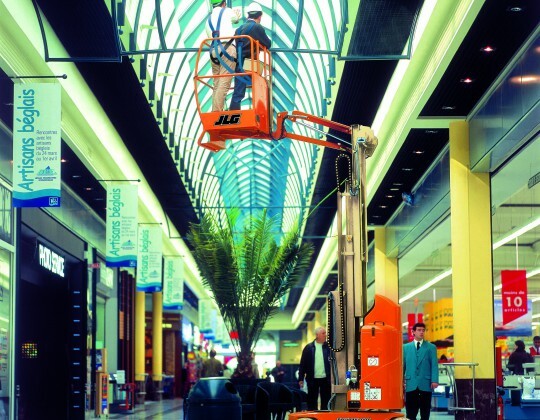 Do you need to implement tasks in places such as supermarkets or do you need to access through a narrow corridor? 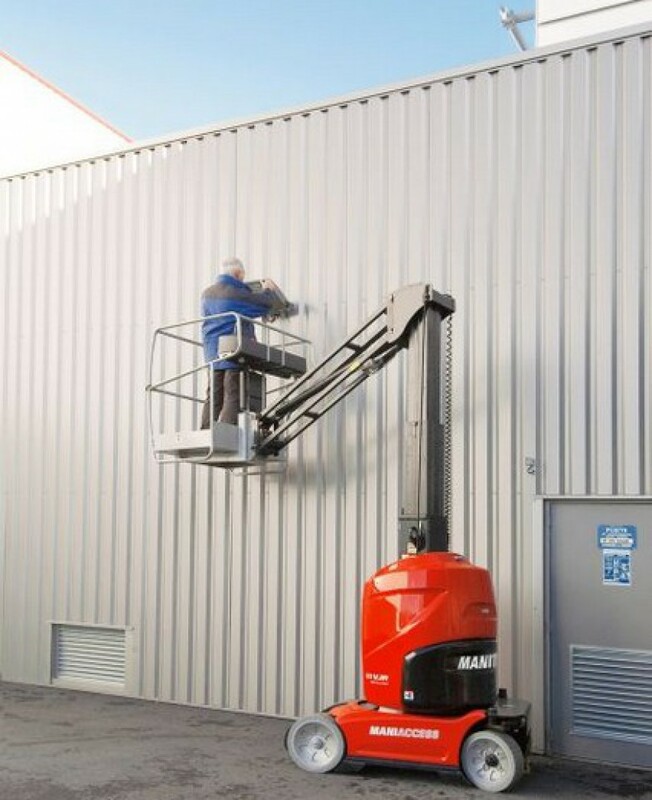 Is there a lack of space on site but you still need horizontal outreach when at height? 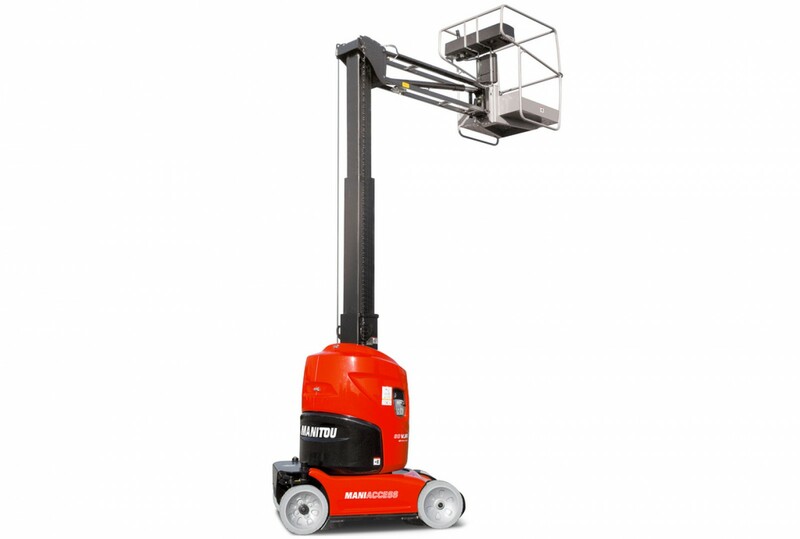 The Manitou 80VJR offers you vertical ascent and descent, there is no swing out and you can reach a working height of 7.70 m, and still have 3.25 m of horizontal outreach. 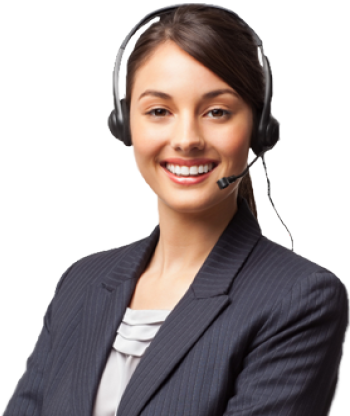 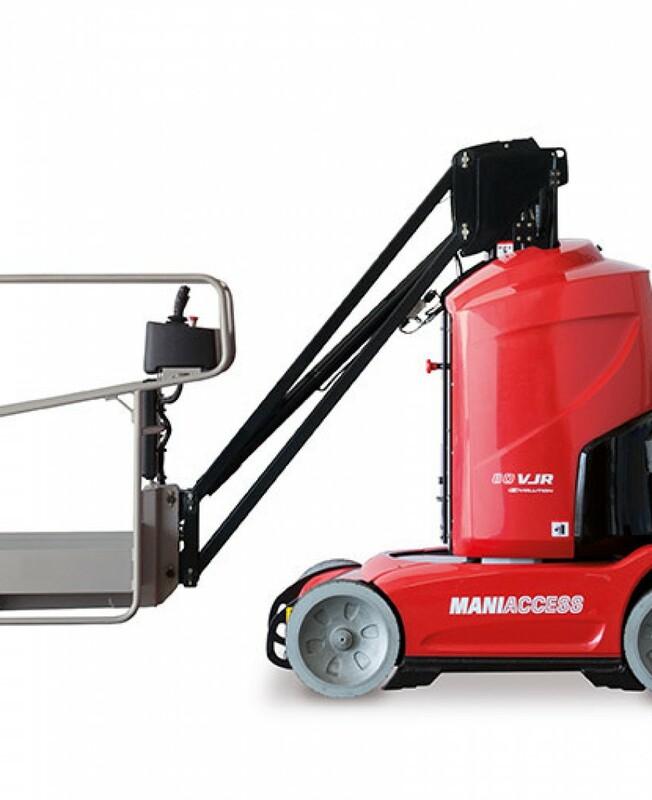 And the 350° cage rotation capability offers you an extensive working area without you having to turn the machine around. 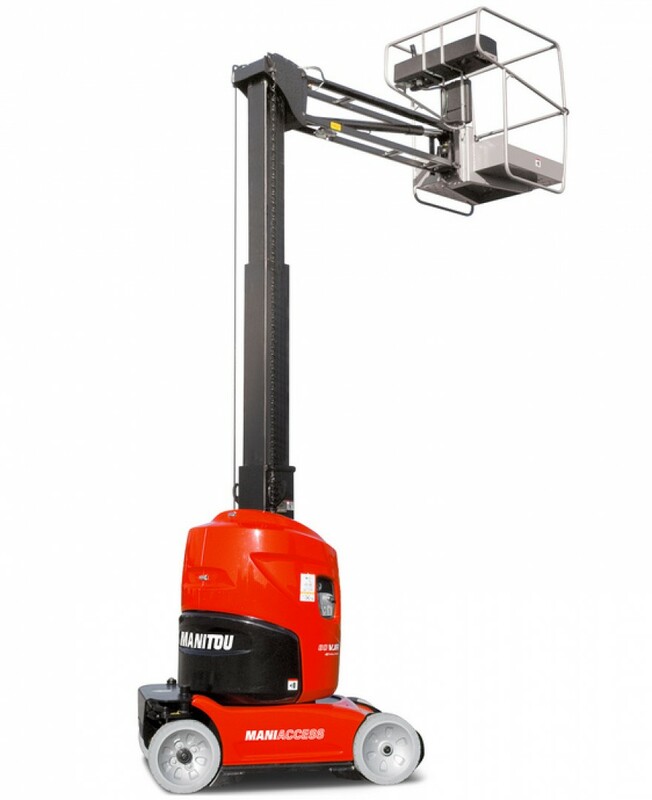 The Manitou 80VJR's turning circle is tiny, less than 2 metres. 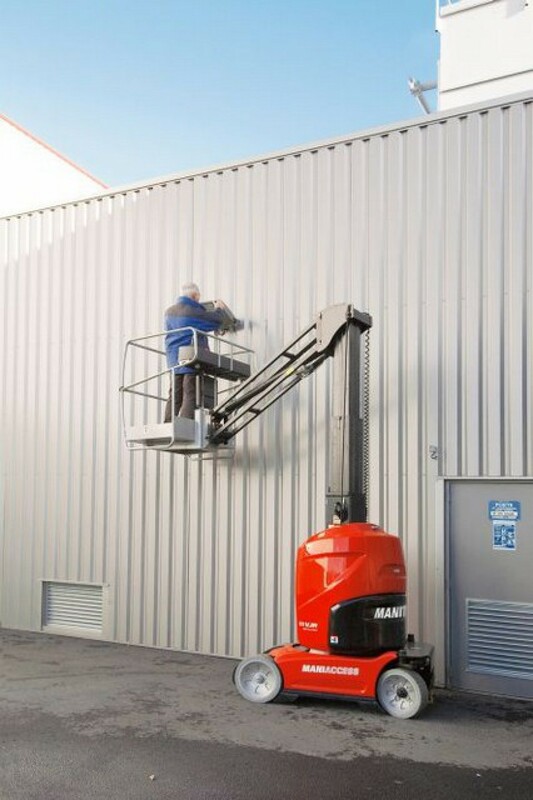 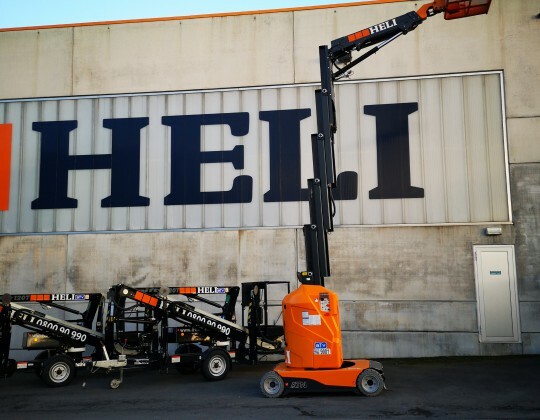 This compact 1-metre wide boom lift, weighing only 2,250 kg, still offers capacity for two persons or a payload of 200 kg. 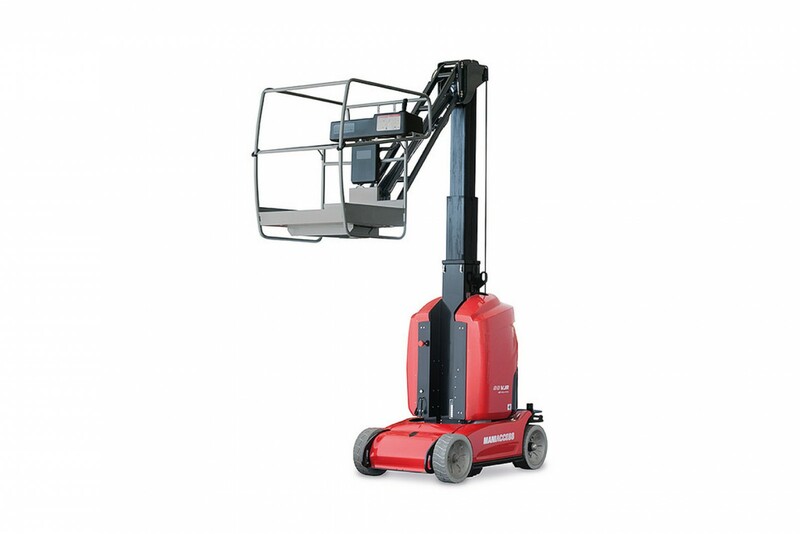 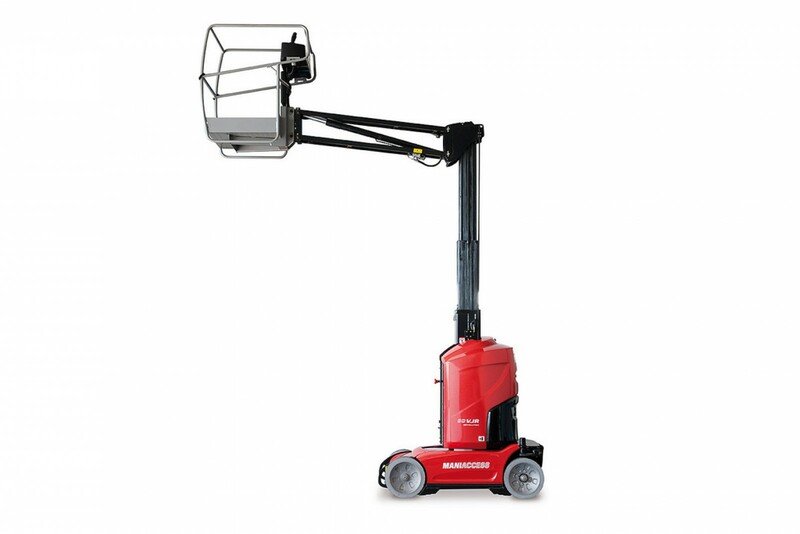 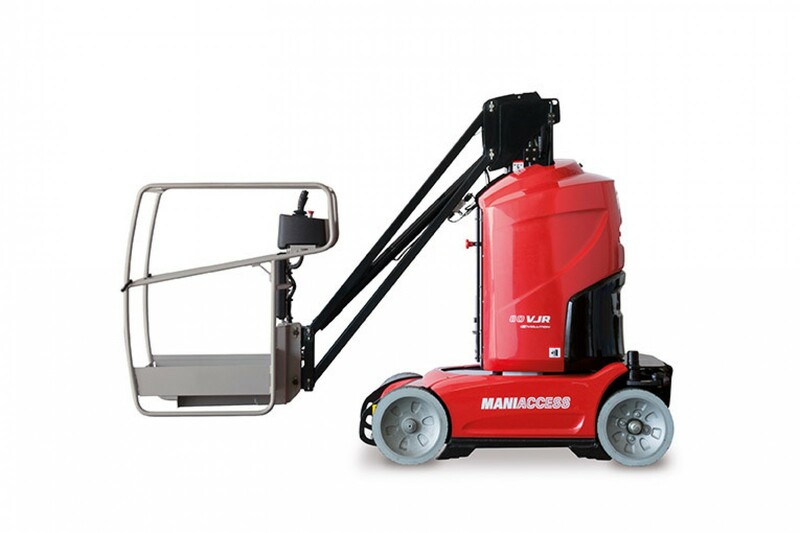 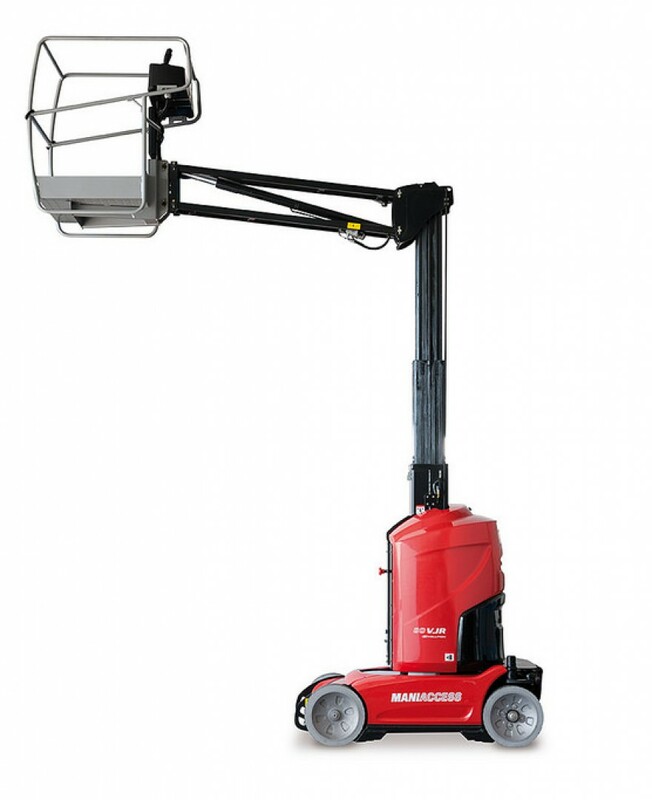 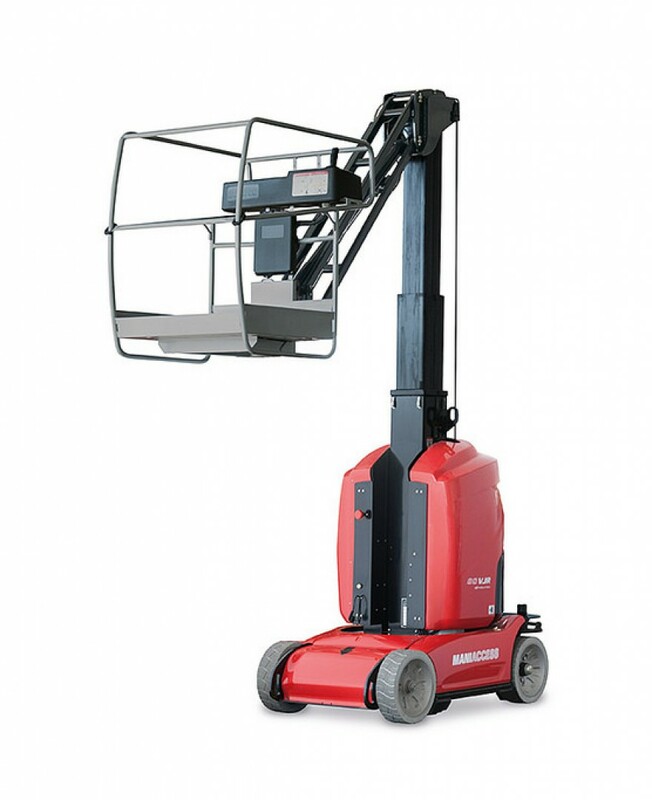 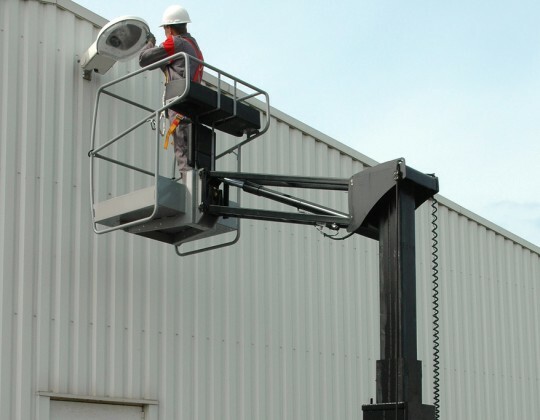 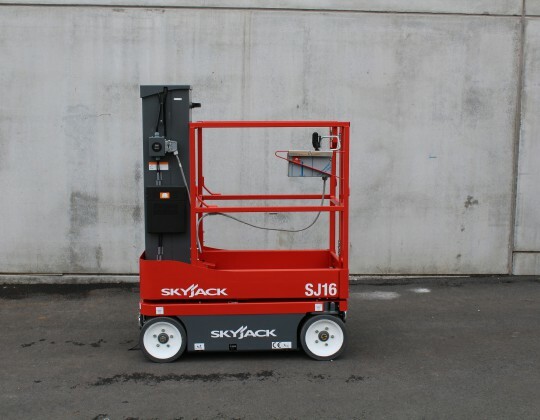 All our types of electric-powered compact lifts are equipped with non-marking tyres, and operate well on solid floors, leaving very little trace. 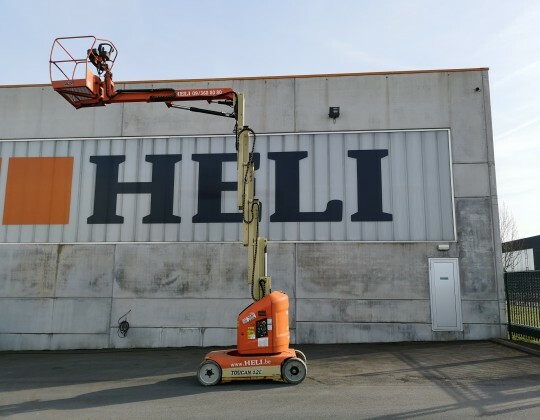 Discover our trainings via Heli Safety Academy.